DeeJay's Rating ✭✭✭✩✩ Meh. It was all right. *WARNING* Contains a few spoilers! Gonna cut right to the chase. This book wasn't much better than the first one. I just can't get into this series like that. Everyone keeps telling me it gets better, but so far, they haven't made a believer out of me. If I wasn't as avid a reader as I am, then I would be officially done with this series. Expectations are just too high and they're not being met. But my interest in The Infernal Devices and The Bane Chronicles are really what's driving me to keep going. Anywho, Simon has become much "cooler" than he was in the first book and Magnus Bane continues to be the only character that I actually care to read about. He's still awesome and his little "situation" with Alex is kind of cute. Valentine remains a villain worthy of my time. The best villains are the ones that seemingly don't care about anyone, not even their own children and will put their necks on the chopping block with the quickness to achieve their own agendas. Underneath, I think Valentine cares for his family, but damn, it's hard to see that right now. He wants to be rid of the Downworlders and he'll start a war with the Shadowhunters to make this happen. Does Jace choose to fight for Valentine? Well, of course, I'm not going to tell you. I still like the plot, if for the TRULY mundane characters and their lack of growth and maturity. It's amped up with more action, plot twists and turns and of course, a healthy dose of teenaged drama. 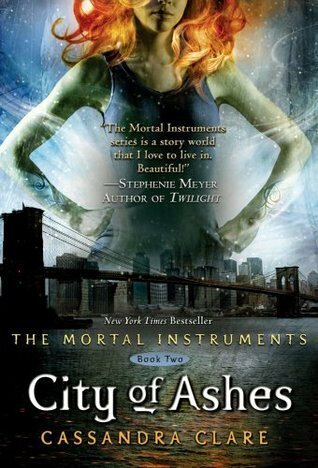 But like I said, I also want to read the companion series, so I must continue, regardless of how much Clary and Jace get on my nerves. Overall, just another decent effort by Clare. 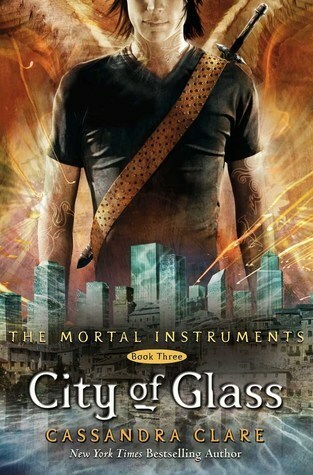 I already own City of Glass and will read it pretty soon, I'm sure. I'm just not that excited about it and that in itself is disappointing. ✭✭✭✩✩ Meh. It was all right.